When calculating the cost of dental care abroad you need to compare apples to apples. Many times in the UK and USA, you will receive only one cost and then there are all these hidden costs so make sure if you are comparing our the dental treatment is the same as the quote you receive in your home country. One dental implant in the UK can cost up to £2,500 ($4,000 in the USA), but at Smile Clinic Slovakia – Dental Holiday you will pay only £980 for each implant, with a lifetime guarantee. Crowns, bridges and veneers are also much less expensive. An all ceramic crown and porcelain veneer can is just £397 each. Of course, when calculating the cost of dental care abroad you will need to include flight (Ryan Air around £100 round trip) and accommodation at many of the hotels in town costing around £30/night per visit. For the purposes of this article we will provide two examples: an “all on 4” dental implant procedure, and a smile makeover, with a typical 4-8 crowns/veneers. Includes 4 implants supporting a fixed bridge of 12 new teeth completed by our expert implantologist, Dr. Marek. A full in-depth description of an All-on-4 dental implants. You can expect to pay 50-70% more in the UK and USA. We offer initial quotes by email so the more information you give us the better the quote. Most treatments can be completed in 2 to 3 months depending on healing time and of course, our materials are of the highest quality. Dr. Marek (Mark) Salka has done thousands of dental implants, crowns, bridges, and veneers since 2006. If a bone graft or sinus lift is needed, then it can also be done on your first visit at the same time as the dental implantation. The cost for a sinus lift/bone graft varies from £400-£800 depending on the amount of surgeon time and bone material involved. £3920 is the amount payable on visit 1 – which is 60% of £6536 – the total fee of the “all on 4” system per jaw. The remaining 40% should be paid on your last visit. Typically, 4-8 crowns / veneers across the top teeth are all that is needed to create a new bright symmetric smile. A good way to check is by smiling in front of the mirror, and checking how many unsightly, crooked, discolored or uneven teeth are visible. This is the number of teeth that will need crowning / veneering. One visit is required for four days. Pure ceramic crowns / veneers are £397 per tooth. There are no hidden or extra costs involved. Our UK accredited dental clinic is renowned throughout Europe for our high level of treatment, technology and personal service. Any prices we send you or discuss in the treatment plan are valid upon your booking within the next 30 days. Results and personal stories of all our recent clients. We look forward to having you in our clinic and sending you home with a beautiful smile! No problem! Just drop us a note below in the comments and we will answer you straight away. We’re here to help you calculate the cost of dental care abroad. Hi, I live in the UK. How much would it cost for a bridge to replace a single tooth on my upper jaw? Dear Steve, thank you for contacting us! We have sent you an e-mail with some questions about your dental situation, please check your mailbox. I’m from the USA but currently in italy for a few months. 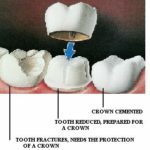 I have extensive wear on my teeth and my dentist recommended 16 crowns to open my bite. It is prohibitively expensive in USA. My teeth are very sensitive because the enamel is gone and my face has changed because my teeth are so worn down. Could you help me with this? Certainly the crowns would help. In our clinic the cost is €327 per tooth crown – and they are all-ceramic emax or zircon – the same as you’d get in the USA. You’d need one visit of 2 weeks with us to complete the treatment, or 2 one day visits with 3-4 weeks between them. If you’d like to go ahead with this, please fill in our enquiry form on the website. Yes if the teeth are loose + receding gums, then it is very probable that you have severe bone loss. We would therefore look to replacing that bone at the same time as placing the dental implants. Bone grafts typically cost between £400-£800 depending on the amount of material and time involved. The “all on 4” procedure – 4 dental implants supporting 12 porcelain crowns as a bridge is £5940 per jaw, however in cases where the bone is weak, sometimes an extra dental implant or 2 needs to be added to ensure that it lasts. (£594 per implant extra). Hi, I live in australia and already have 2 Neoss implants. Can you put Crowns on Neoss ? If not, can you help to find a clinic. I’ve already booked a trip to visit family in Bavaria. Why is it difficult to find dentist who use Neoss. Unfortunately we haven’t worked with Neoss implants, and therefore have no neoss abutments or tools to put a crown on a Neoss dental implants. Neoss was a dental implant brand from the UK that never took off and has had no development since it’s launch. My guess is that you won’t find a dentist in central Europe who works with Neoss, as they initially marketed only to English speaking countries. You best bet is to visit the clinic who placed the dental implants unfortunately. I’m sorry that I wasn’t able to be of more help to you.